Barry Cohen was born and raised in Milwaukee, Wisconsin. He graduated from the University of Wisconsin-Stevens Point (with honors), and the University of Wisconsin Law School. He began his legal career in 1983 in a general practice law firm in Osceola, Wisconsin, where he also prosecuted traffic and ordinance violations for two municipalities. In 1985 Attorney Cohen started a law firm in Brookfield, Wisconsin which eventually grew to 12 lawyers. In 1992 he moved to Elkhart Lake and created his current law firm. Attorney Cohen earned a statewide reputation for tenacity and expertise in the exclusive practice of criminal, drunk driving and traffic defense. He has had hundreds of criminal and drunk driving charges dismissed or reduced to lesser offenses throughout his career and has tried over 100 jury trials. He has argued twice in the Supreme Court of Wisconsin, including the successful defense of the right to challenge the lawfulness of a police traffic stop. Attorney Cohen has been selected as one of only 5 Wisconsin OWI Super Lawyers each year since 2006. He maintains the highest10.0 rating by AVVO, the national lawyer rating service, and earned recognition since 2012 as a member of the Top 100 Trial Lawyers by The National Trial Lawyers organization. 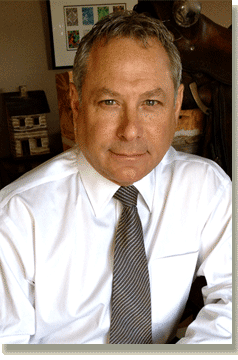 Barry Cohen is a former President of the Criminal Law Section of the State Bar of Wisconsin. Attorney Cohen was recently re-appointed by the Supreme Court of Wisconsin to assist the Office of Lawyer Regulation with oversight of individual lawyers. Attorney Cohen is a former co-author of Traffic Law and Practice in Wisconsin, a State Bar of Wisconsin publication used by lawyers and judges throughout the state. He lectured extensively throughout his career to defense attorneys, prosecutors, law enforcement officers, legislators and judges on various criminal and drunk driving issues. Attorney Cohen has been responsible for organizing educational seminars every year since 1985, and for many years has been the driving force behind the Annual Drunk Driving Defense Seminar. Throughout his career, Attorney Cohen has served, at the request of the governor, legislators, judges, and the Department of Motor Vehicles, on a wide variety of governmental committees, study groups and task forces whose purpose was to examine current laws and practices and help to improve both by drafting new laws and procedures in criminal and traffic matters. In 1985, Attorney Cohen helped to create the Wisconsin Association of Criminal Defense Lawyers. He is a life member of the National Association of Criminal Defense Lawyers, and also served for several years on the board of directors of the Wisconsin Academy of Trial Lawyers.